SIS LIVE expands broadcast connectivity in Middle East. 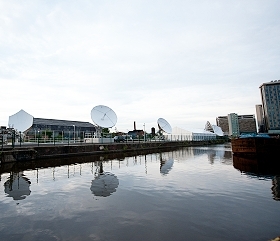 Milton Keynes, UK January 2016: Leading broadcast connectivity expert SIS LIVE has significantly increased its portfolio of connectivity resources by adding key satellite capacity in the Middle East, as part of its ever-expanding fibre and satellite network. The company has permanently leased more capacity on Eutelsat E10A, which offers prime Ku-band and C-band connectivity. Customers from the major events and news sectors can now use SIS LIVE’s occasional use booking service to secure instant, robust capacity for their connectivity requirements. SIS LIVE has recently sold seven LoStow® vehicle mounted antenna, designed and manufactured in-house, into the MENA region. LoStow combines high quality engineering in a compact, lightweight, rapidly deployable and easy to use package which can be easily integrated into vehicle systems. SIS LIVE will attend the CABSAT exhibition in Dubai from 8th – 10th March. CABSAT is the Middle East, South Asia and Africa’s biggest cable, satellite, broadcast and communications event.